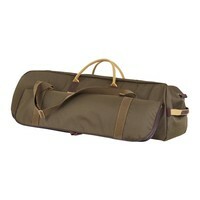 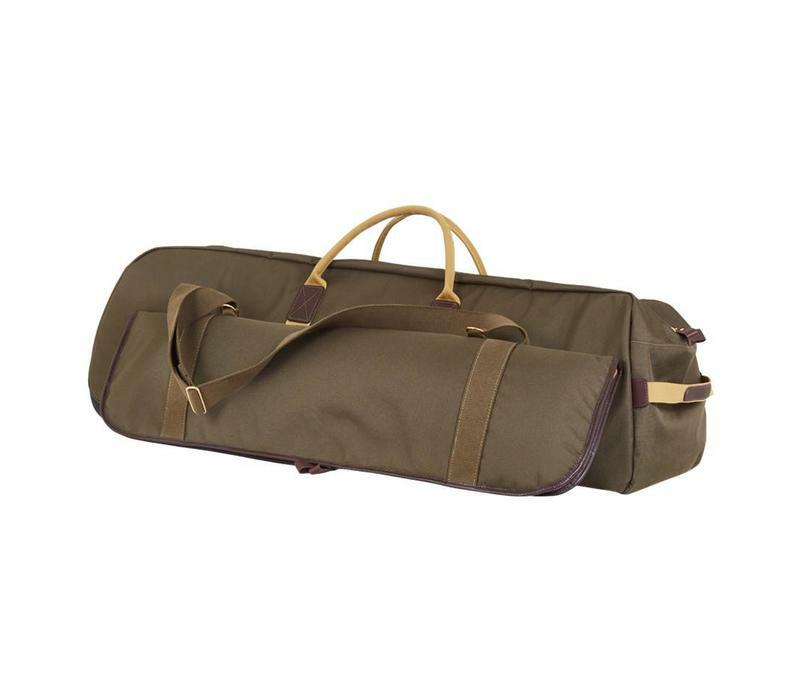 A unique and robust lightweight wheeled gun bag, which is capable of handling 2 shotguns. 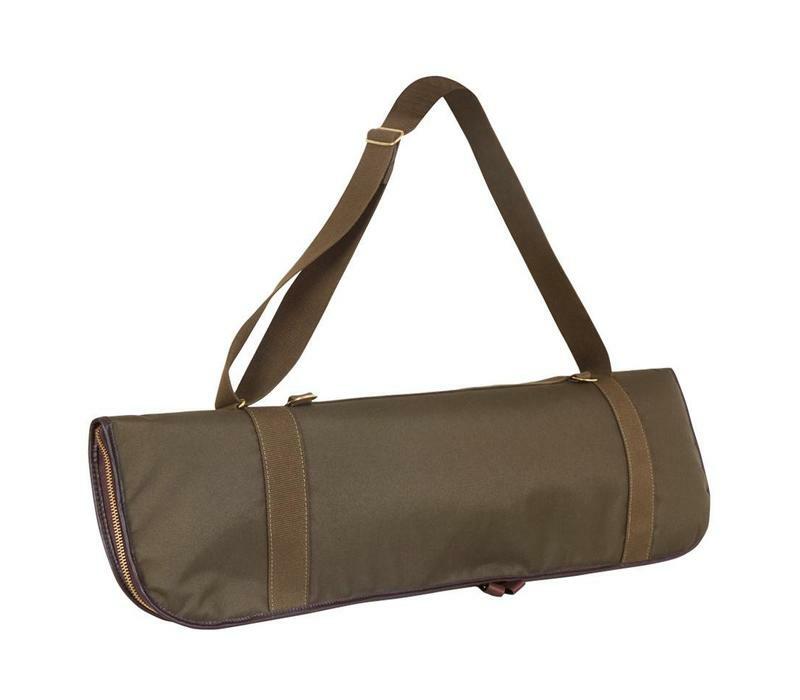 It’s perfect for conveniently transporting all your kit around town, on the train, or in your car, especially when you may have a bit of a walk at either end. 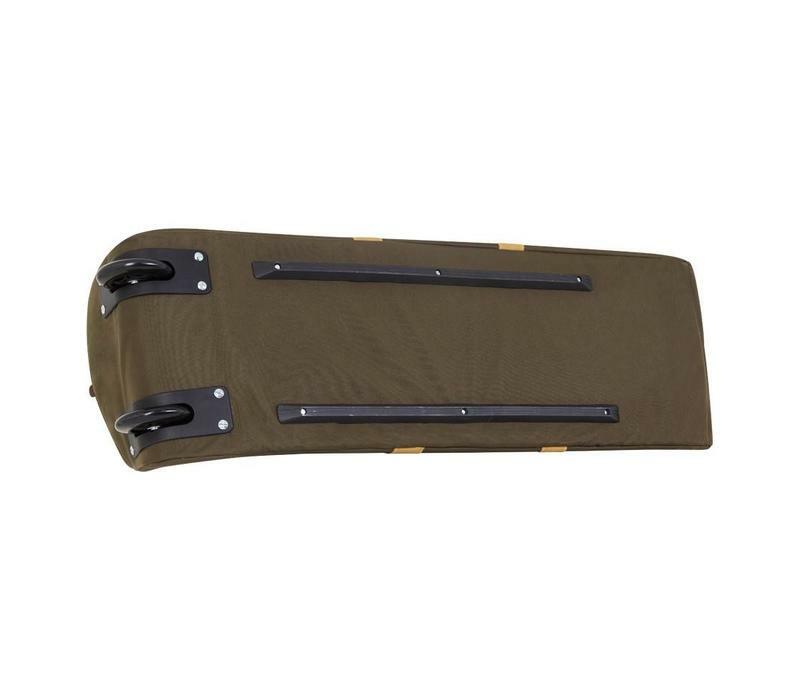 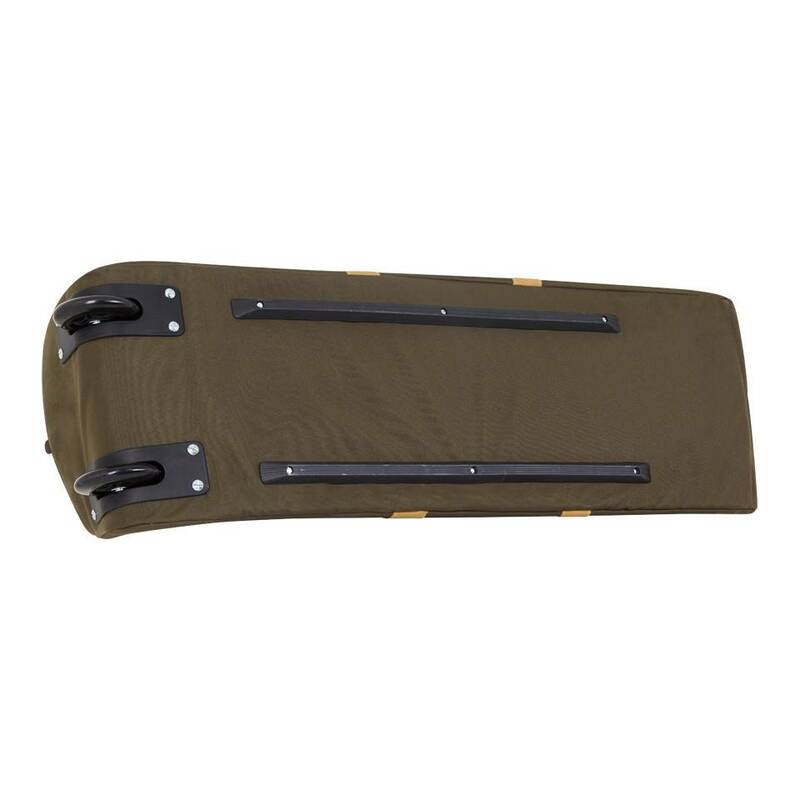 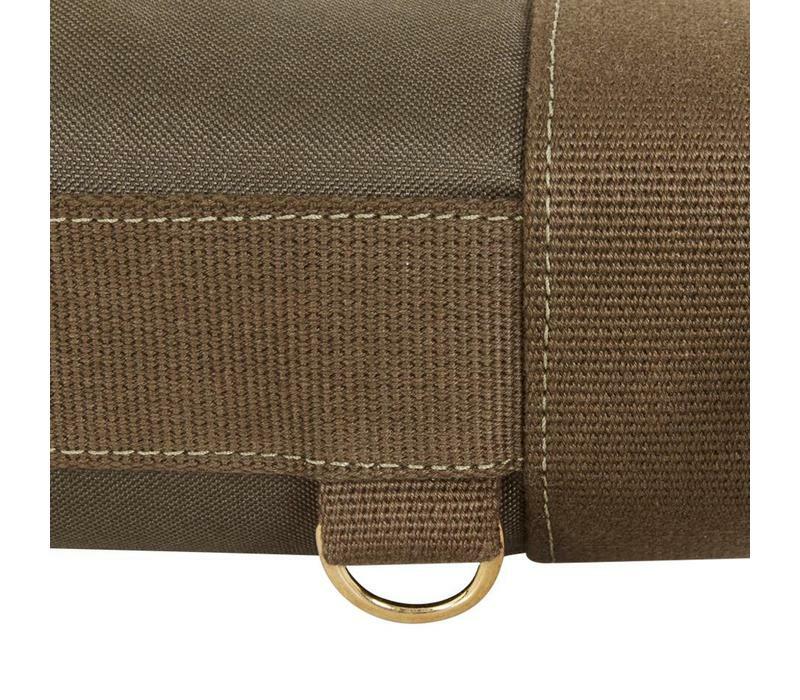 The Gun Bag features large, tough wheels, a reinforced frame, base scuff strips and interior clips suitable for 2 leg o muttons. 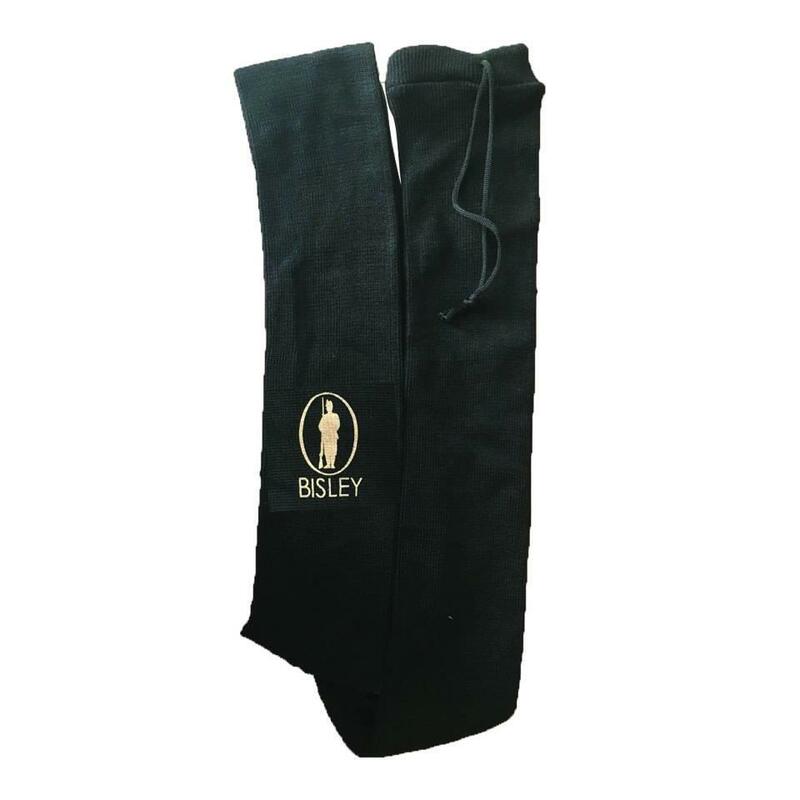 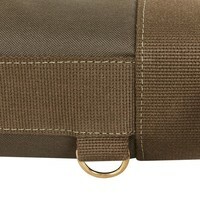 These can be expanded to fit regular slips when you arrive at your shoot, so you don’t need to carry additional slips. 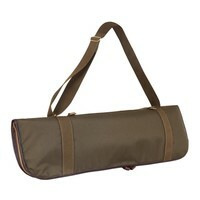 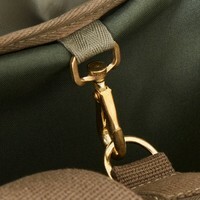 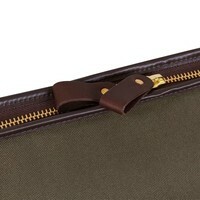 The bag will easily accommodate gun slips along with a change of clothes and other kit. 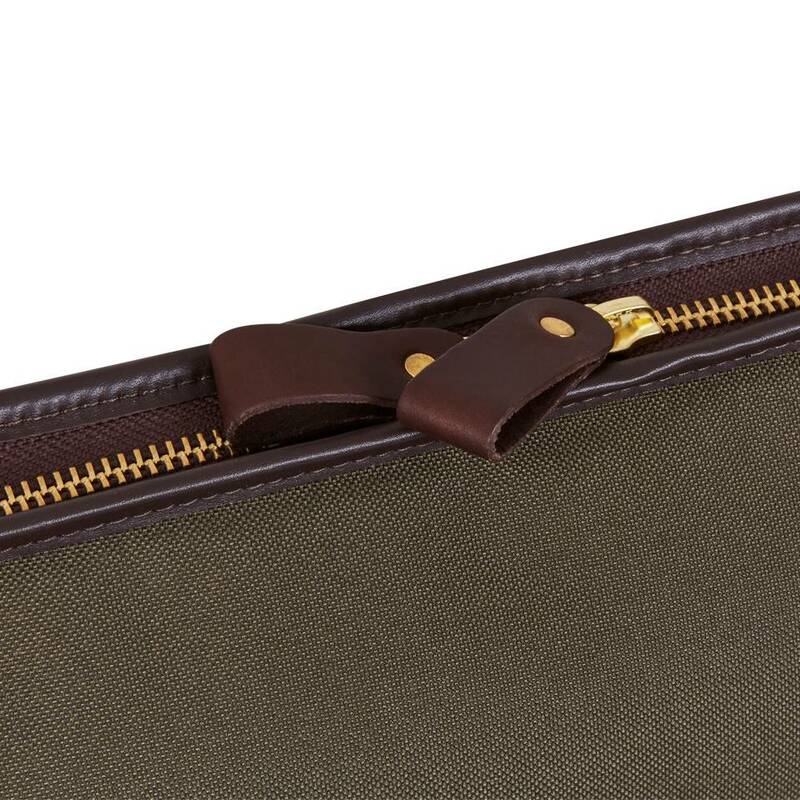 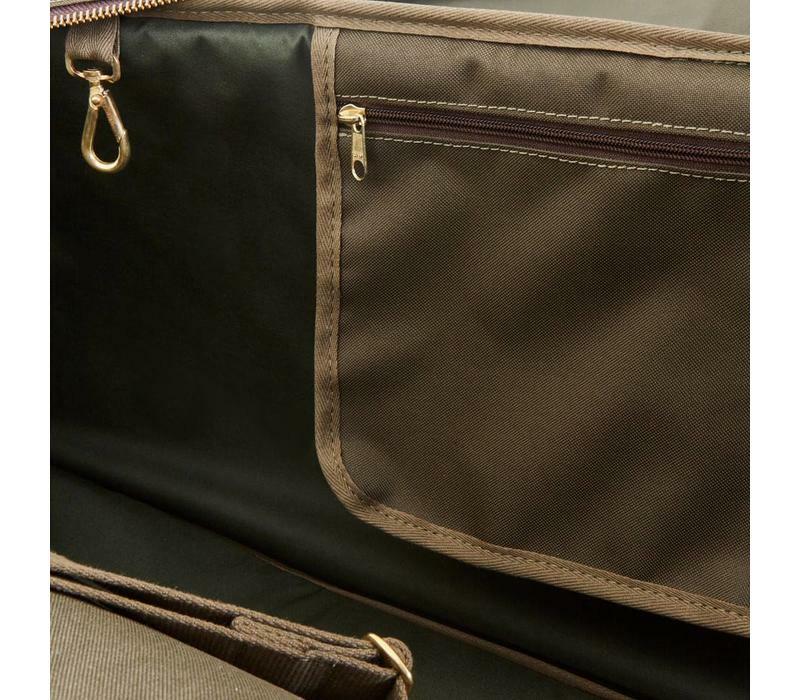 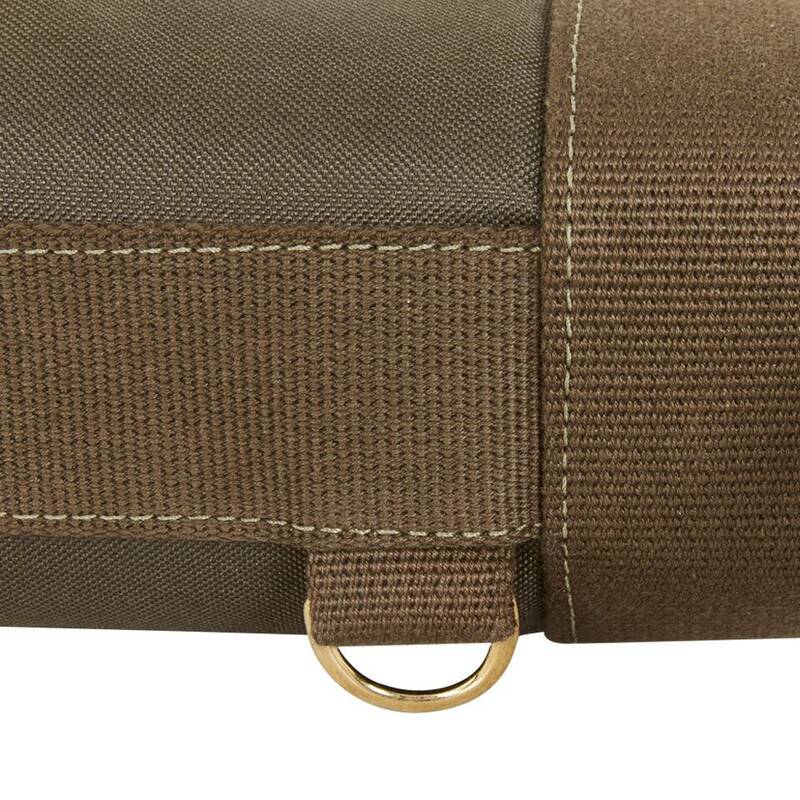 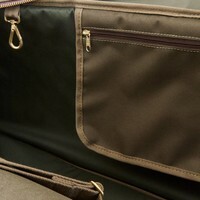 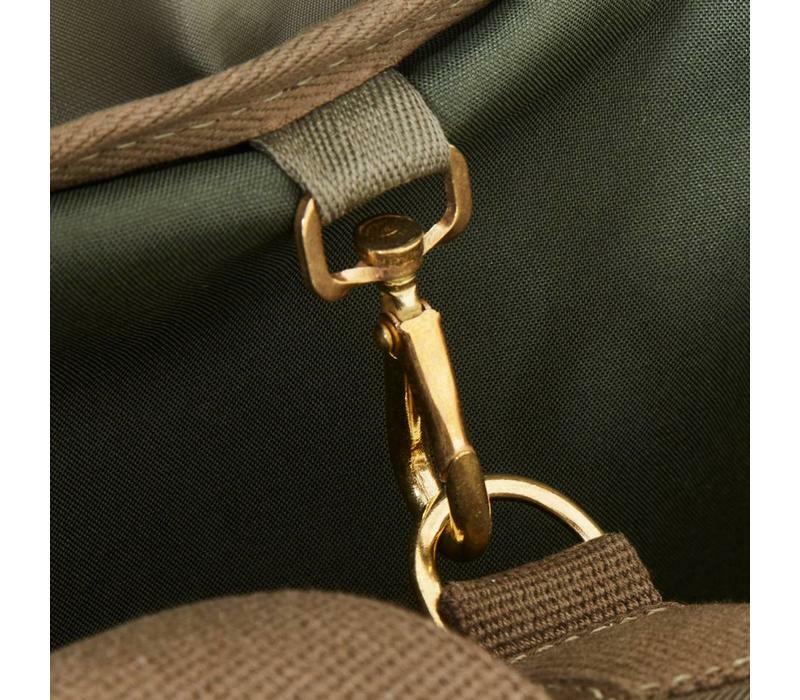 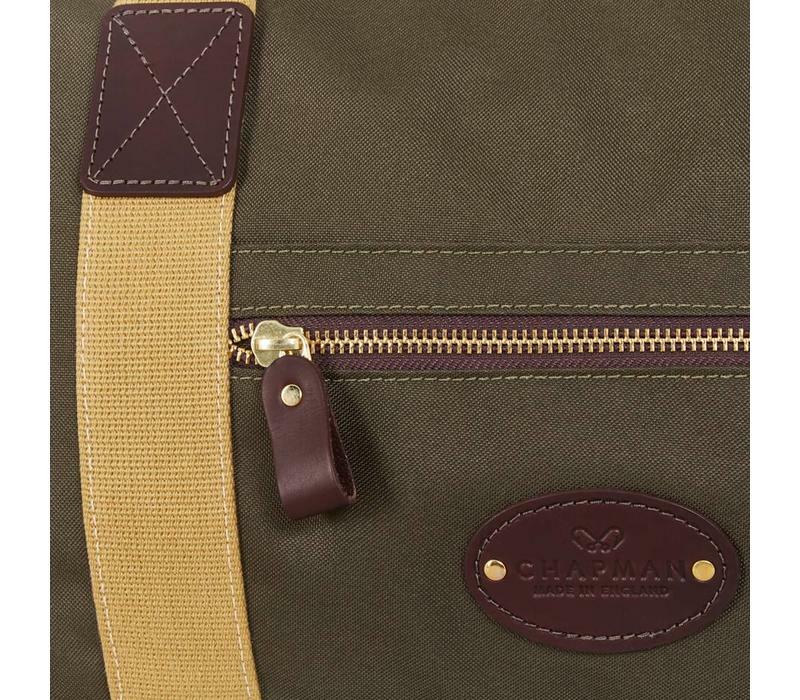 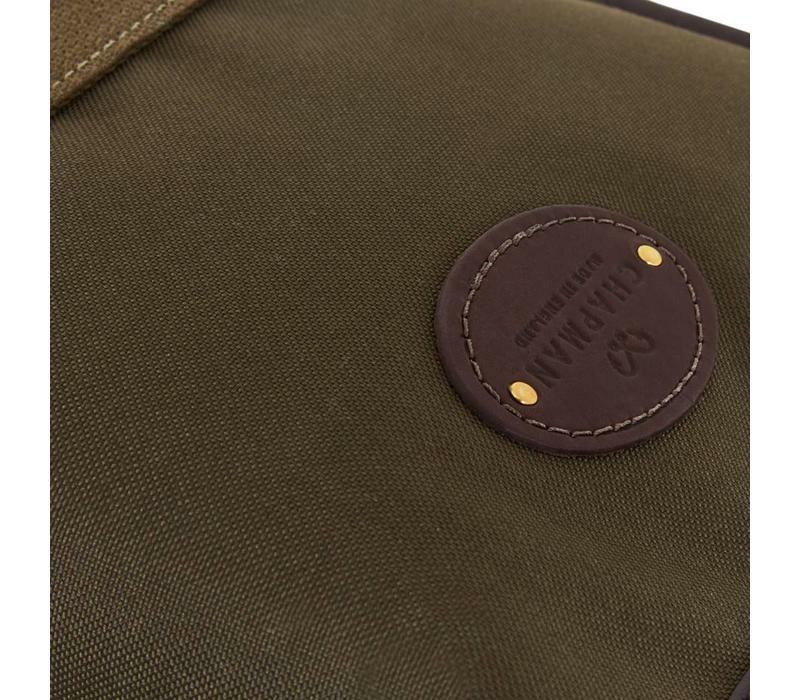 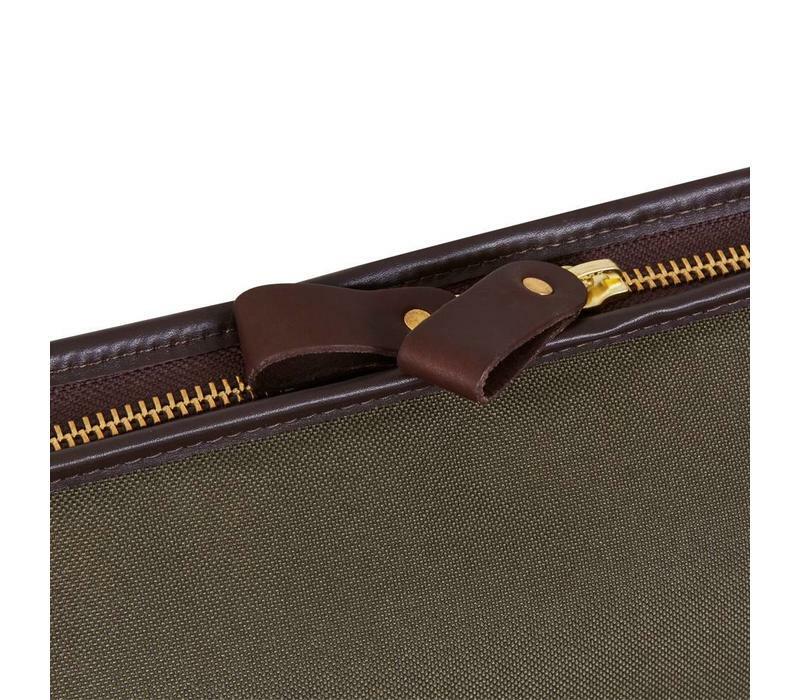 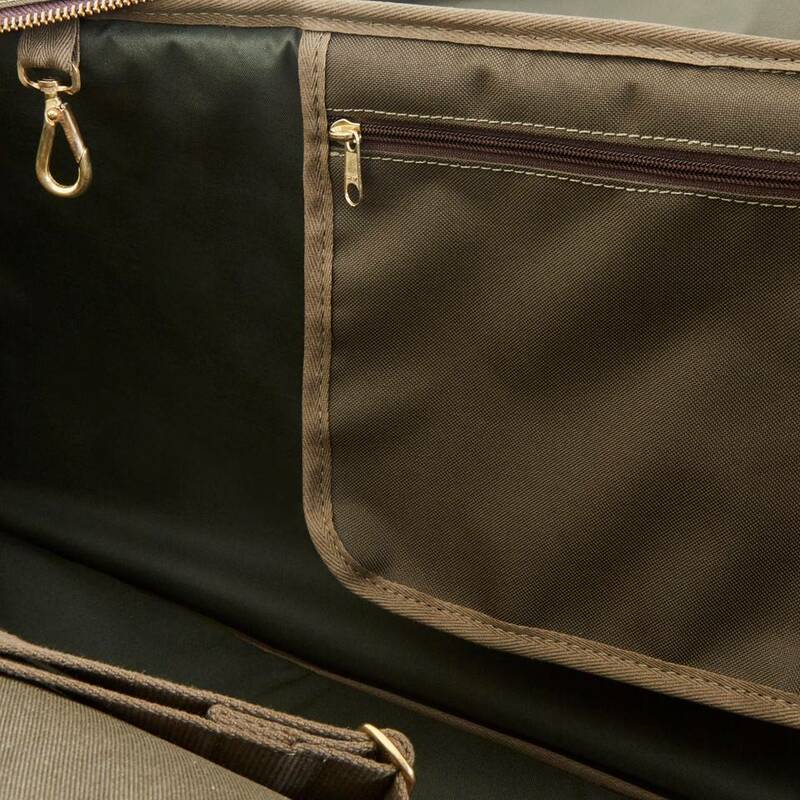 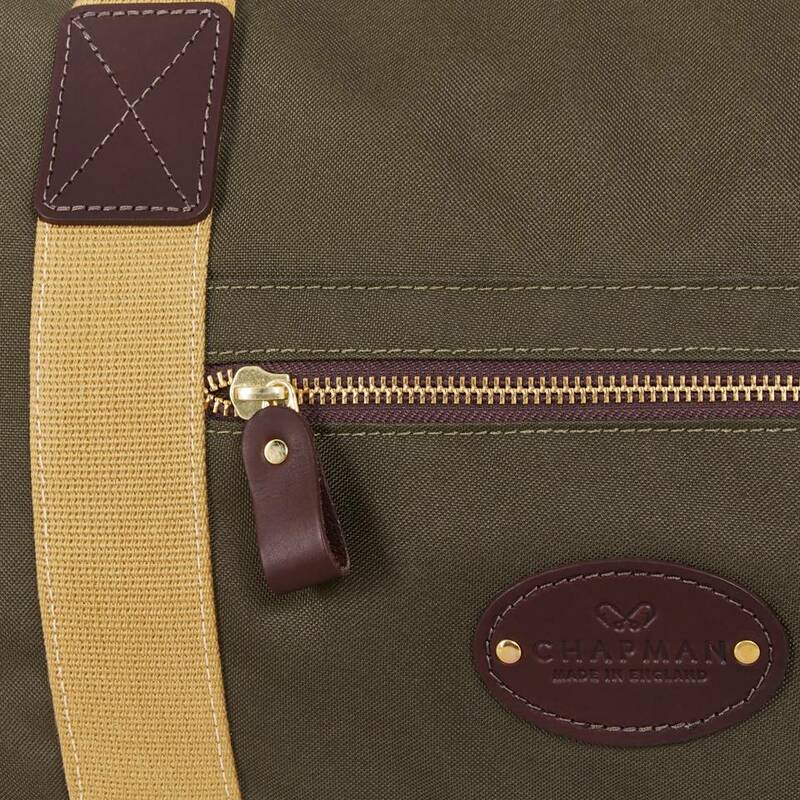 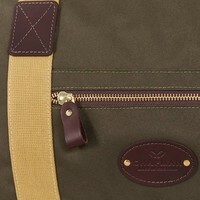 The Gun Bag is made from a lightweight, waterproof woven material in classic olive green, with contrasting khaki webbing, veg tanned leather fittings, and a high quality lockable brass zip with leather pullers. 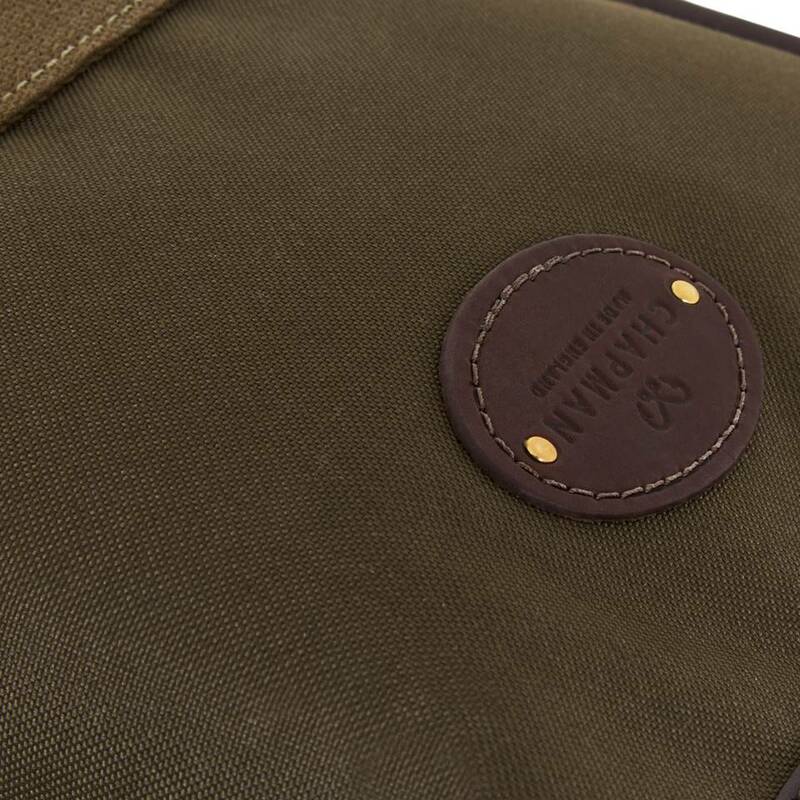 Initial engraving is also available: allow an extra one to three weeks for this personalisation service. 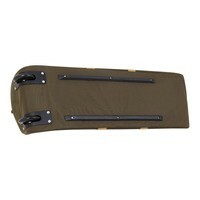 Please note that leg o' muttons and slips are sold separately. 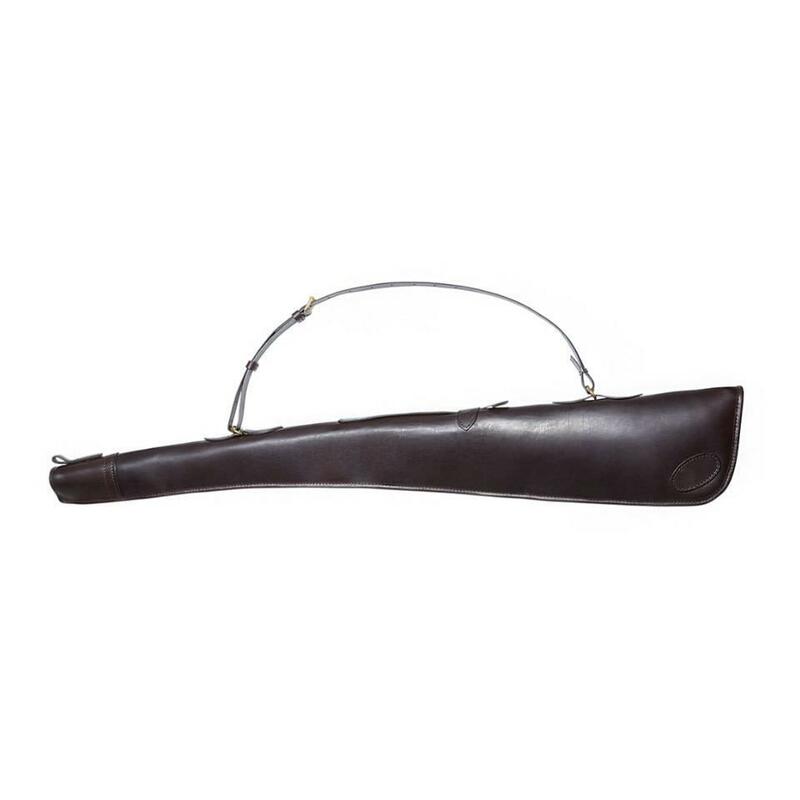 Dimensions 42”W x 12”H x 13”D.